Not a lot of riders can do what Caroline Buchanan does, aside from achieving heights on her bike, she's a social media wizard, and most importantly a rider who gives back to the community. I personally think it's important to donate your time and to give back to the next generation, because without your support, the sport dies. Racing in particular, heavily depends on volunteers. 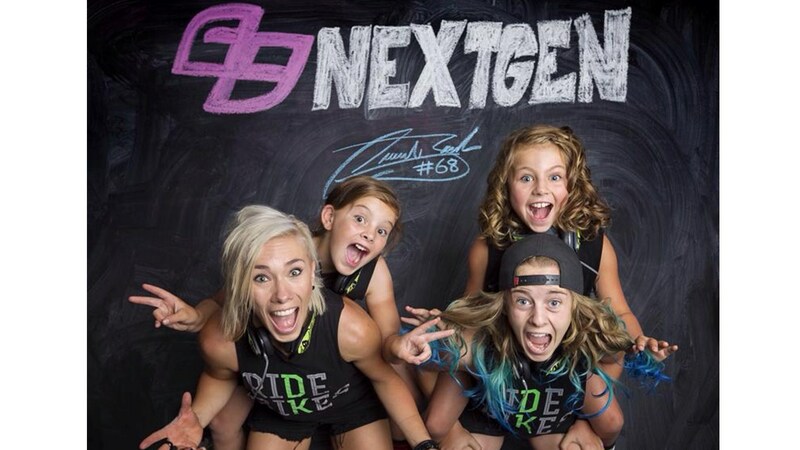 So, I messaged Caroline to get some info on Buchanan NextGen, in hopes to inspire some more riders to give back where they can. 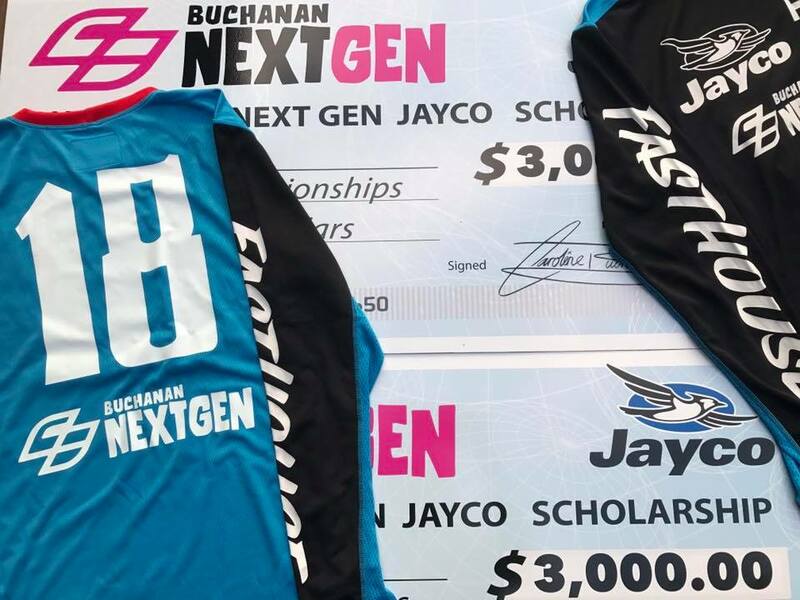 Beatrice How did Buchanan NextGen get its start? 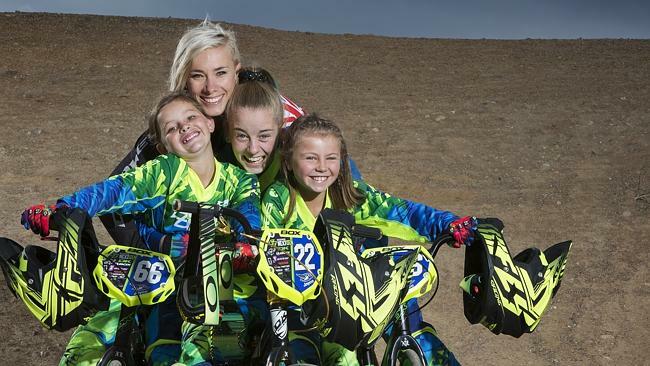 I want to support and nurture the future of BMX and women in sport. To break the mould of support in Australia taking it to a new level of professionalism and have these grants available for the girls who are performing and showing that drive and talent to secure themselves in the running for the grant by applying. 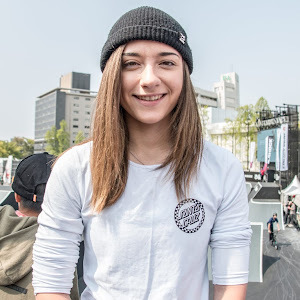 Then by performing at the 14 and 15 year old age group at the BMX Australia National Championships to then be eligibly for the grant of $3000 each to assist in getting to the BMX World Championships. Beatrice What do you take away by giving away, and was there anyone in particular who helped you the most? Caroline I loved helping the girls to overcome adversity that is faced in male dominated sport and when aspiring to be the best in the world. Give them the opportunities to compete on the world stage and gain the experience necessary to be champions of the future. Layne Beachley 7 x World Surfing champion helped me at age 14 by being a mentor of mine and also supporting me through her Aim For The Stars foundation which has grants for young girls who are not just in sport but talented in all areas of life. Beatrice In years past, who were your previous recipients? Caroline Over the past 4 years I have been able to source $37,000 in support from to assist the girls. Past Buchanan Next Gen Scholarship girls! Beatrice When will you be announcing this years recipients? Caroline 2018 contenders will be decided at the 2018 BMX National Championships! Beatrice Have you received any ridiculous applications from non qualified applications, like guys? Any funny ones you'd be able to share? Caroline Yes I have had a few guys ask my fiancé if he would do a Nobles Next Gen scholarship hahah but no males try enter my scholarships yet. Thanks for checking out this post, unfortunately the deadline is closed, but take a look at this application and plan for next year! Karl Hinkley...he's the nicest and coolest dad in the whole world, he's also the man behind NoWear BMX and this edit! This past weekend we had the Toronto X Jam, an event that takes place along side the Toronto International Bicycle Show. If you want to plan for next year, stay in Toronto and book off the first weekend of March. This international event has brought in ladies from all over the world, but this year was a battle between Canada and the United States. Check out the edit below, hopefully we'll see you next year! Toronto X Jam 2018 female finals from NOWEAR on Vimeo. If you're looking to have the time of your life, for a week or even up to a month long, look no further than Berm Academy, where you can tour like a pro, with coach and tour guide Jason Carnes. 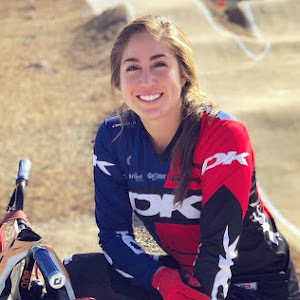 After a month of travelling across 7 states, riding tracks and trails and racing 2 BMX Nationals, Australian BMX racer Jess McCormack shows us what her trip was like, check out part 1 below. Jason Carnes’ Berm Academy is proud to deliver the ultimate BMX road trip experience for every rider, 14 and over, from novice to pro! Experiencing the coast-to-coast BMX scene in the U.S. is an exciting vision that many riders around the world share. Whether we’re hitting a USA BMX race or practice night at one of their 350+ tracks, shredding the trails, bike park, or a secret backyard track, exploring a new city by bike, lounging at the beach, cannonballing at a local swim hole, whitewater rafting, or stopping in to check out one of the hundreds of National and State Parks, you are guaranteed to have a good time and create friendships and memories that will last a lifetime…and you’ll do it all in one of the sickest rigs the sport has ever seen. The Berm Academy offers seven day, fourteen day, and one month (or longer) options with transportation, accommodation, most meals, and an opportunity to hit some of the country’s best tracks, trails, industry hot spots, and experience lots of road-life good times. 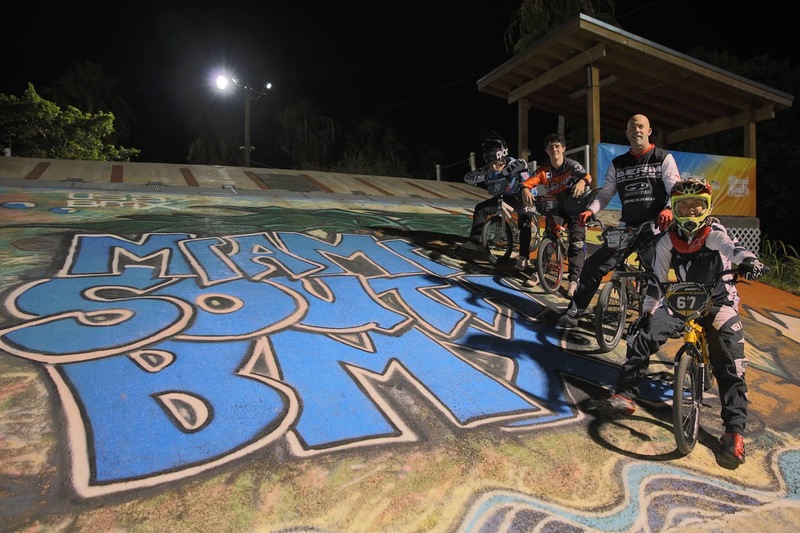 And when it’s time to roll into a USA BMX National, The Berm Academy gives you the “Pro” treatment with a massive pit set-up that is unrivaled by all other teams, and exclusive to tour participants (and maybe a few visiting Pros). If you want to experience tour life and do it like a pro, get on board with Jason Carnes’ Berm Academy and let’s hit the road! 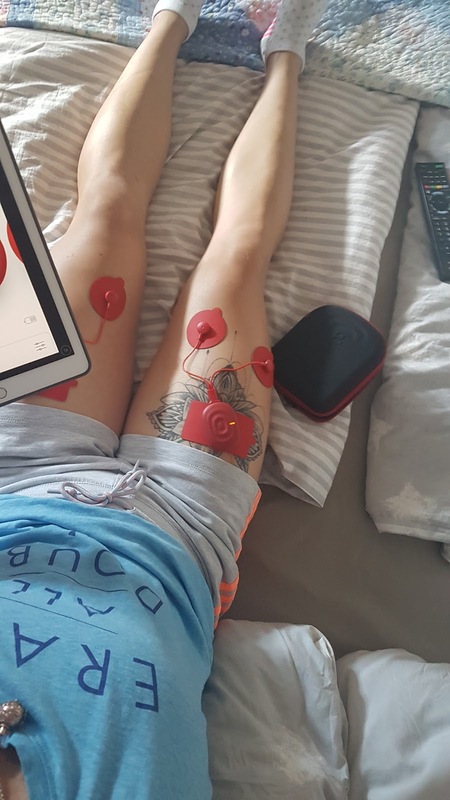 As an athlete, getting a massage is one of the things I look forward to the most, but the cost of getting one is increasing each year, booking an appointment with your favourite person isn't always the easiest, and tipping is the worst. So what's the alternative? Have you heard of a NMES unit? Are you thinking Dr. Ho? 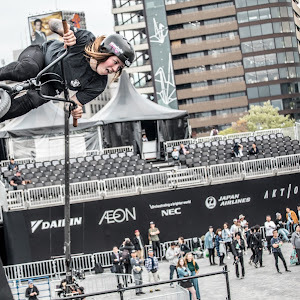 Close.... keep reading to learn more about this awesome technology, I also asked pro BMX racer Nadja Pries to share some info about her training and why she uses this too. First what is a NMES unit? It stands for NeuroMuscular Electrical Stimulation. NMES targets the muscle itself, creating muscle contractions to recruit more muscle fibers when training; warming up or recovering. PowerDot it a portable device that does this and much more. Beatrice: What does a normal week look like for you? Nadja Pries: I am a student so basically all of my trainings are aligned with the classes so its quite a challenge for me and also my coach to fit all the training sessions into my daily routine. This is just an example. It always depends on the part of the season and my other commitments. Beatrice: How were you introduced to PowerDot and what does it do for you? Nadja Pries: Well I am doing my strength training at Reebok Crossfit Nürnberg. The owner of this gym was working together with PowerDot and introduced me to them (Thanks Drake!). 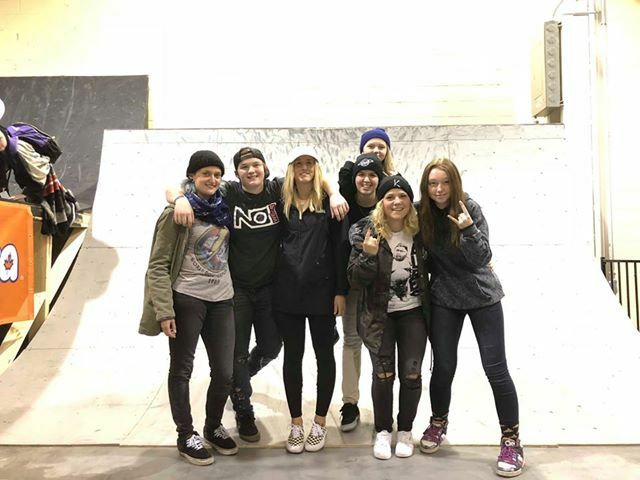 They were pretty stoked about the sport of BMX racing and asked me if I would like to be a PowerDot Ambassador. How is PowerDot used? PowerDot is controlled through your phone via Bluetooth, providing that you have something like an iphone that can support the app. I personally love that the pod is rechargeable through a USB cord, and the simple, easy to understand interface makes this an intuitive product to use. Beatrice: As a competitive BMX racer, where on your body do you use PowerDot the most? Nadja Pries: I have 4 favorite spots where I use PowerDot very often. It’s the calves, quads, IT band and my neck. I think every rider knows the feeling of tight legs. Of course I also use my foam-roller, but it's still something completely different. I think it‘s really important to always feel fresh before you start a practice session to get the most out of it and your legs are not getting sore too fast. Beatrice: There are many programs in PowerDot, like massage (my favourite), Active Recovery, Warm up and much more. What programs do you typically use, for when and why? Nadja Pries: The massage program is also the one that I am using the most. It helps to decrease your muscle soreness and is perfect whenever you have the feeling of tight muscles. After heavy trainings or races I also like the Recovery programs, which basically have a similar effect to a recovery ride. It keeps the blood moving, which allows the body to transport all the waste products out of the system. For BMX riders I also highly recommend the Explosive strength program, which can be used either during or after your strength training session to give that extra little stimulus to your muscles. There you have it! It's a product that I personally love and as you can see Nadja does too! If you have any questions about PowerDot, leave them below and we'll try to get to you as soon as possible. Check them out at https://www.powerdot.com or https://www.mypowerdot.eu/. For EU readers, use NADJA for 20% off. Alright, I am hyperventilating a little. When Angie and Perris come together, the real fun happens. Check out this latest edit for Cult below. "BMX is for for everyone that wants it. Don't matter what you ride. 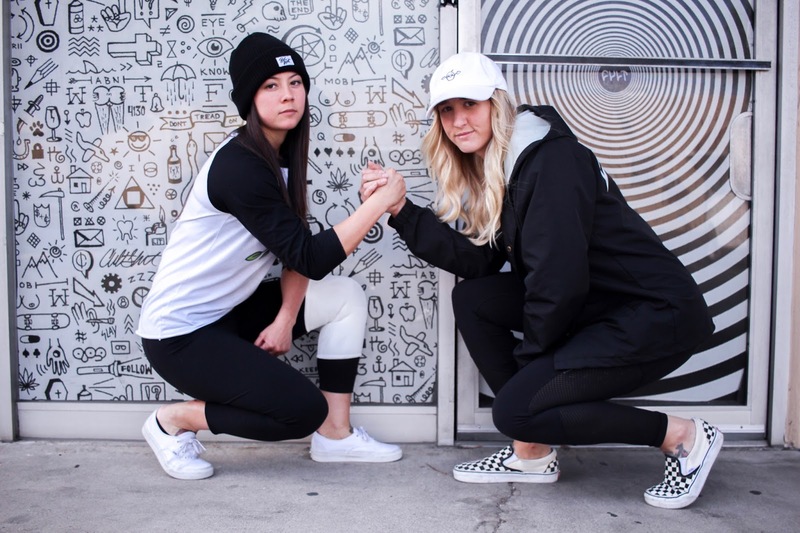 We're especially proud to add these 2 badass girls to the CultCrew Family. Here's a weekend of shredding in the SoCal area from Angie Marino and Perris Benegas. Give them a follow below..."